Welcome back to our weekly Vanguard update! This week we have a bigger variety of cards from different clans but Aqua Force is still reigning supreme with the amount of cards they have shown us throughout the past seven days. To start off with the Aqua Force cards, we have seen the return of the G leader himself, Thavas. Not only are we getting a new SP alternate art of the original One Who Surpasses the Storm, Thavas, but we’ve also had revealed to us the new Thavas G unit. One Who Rules the Storm, Commander Thavas, following the trend of Altmile and Ahsha, does not require a “Thavas” heart. With a G Persona Blast you can give a rear-guard +5k power and the ability to attack from the back row, then with a Generation Break 3 if a unit attacks on the fourth battle of that turn, you choose three of your opponent’s rear-guards and your opponent chooses one of those three and retires it. This will definitely help against strong retiring rear-guards like Twilight Arrow Dragon and Voltage Horn Dragon to make sure your rear-guards are secure and consistent. Attacking on the fourth battle with your Vanguard while having One Who Surpasses the Storm, Thavas in your heart will allow you to retire two of your opponent’s rear-guards. Some people may think that this skill is a little underwhelming compared to Lambros‘s skill but the ability to mess with your opponent’s field is never a bad thing and quite honestly a lot of skills are going to seem underwhelming compared to Lambros but that doesn’t mean they are bad skills. The new Thavas works very well with the new Aqua Force units and the ability to turn most units into a more powerful version of Battle Siren, Stacia gives Aqua Force the consistency they need. To help him more, Thavas-specific rear-guards have been revealed. 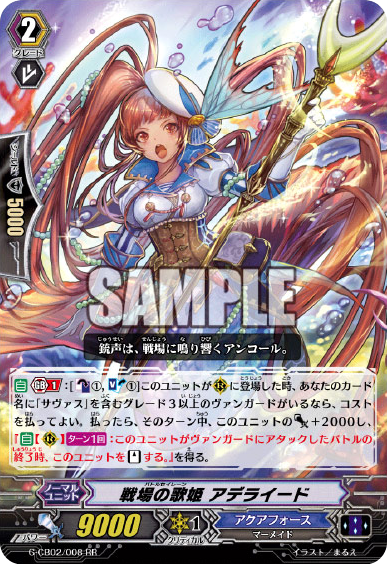 Battle Siren, Adelaide (Who unfortunately looks nothing like everyone’s favourite Cheer Girl) proves to be a very important unit for any Thavas deck. 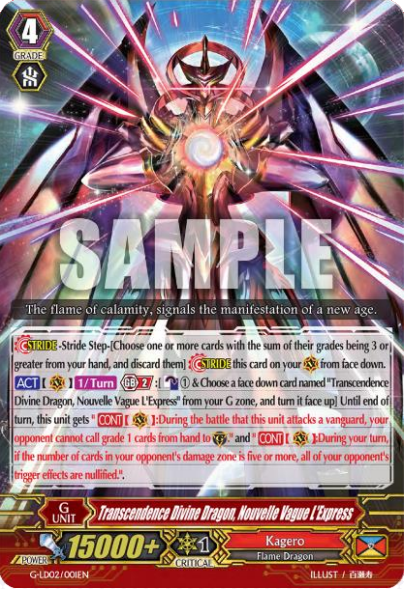 With a Generation Break 1, when Adelaide is placed on the rear-guard circle and if you have a grade 3 or higher “Thavas” Vanguard, then you may Counter Blast 1 and Soul Blast 1 to give her +2k power and the ability to re-stand once per turn after she has attacked a Vanguard. There is no Wave restriction so you can use her skill on your first battle or her last which is extremely helpful for letting all the rest of your units attack when they need to. 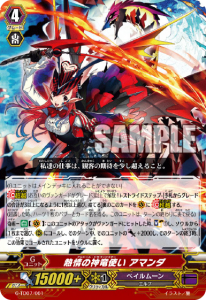 Unlike Magnum Assault, Battle Siren, Adelaide does not need a boost, allowing her to be thrown around the field with units like Couple Dagger Sailor and Blue Storm Marine General, Michael and still managing to easily use her skill. Another way you may use her is to attack on her own for 11k and then have Adelaide boosted on her second attack to ensure that the attack will be able to get through both times. Another Thavas-related card in this set is the Heart Thump Worker clone, Kelpie Rider, Petros. 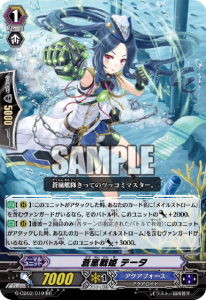 Petros’s skill can help Aqua Force a lot by going into the soul, which gives Adelaide and High Tide Sniper some fuel, and the extra draw is always handy to making sure Aqua Force has a consistent field. To help with the Legions, we will be getting Blue Storm Battle Princess, Limpia. Limpia is a Grade 2 that when she attacks on the third battle or more, if your Vanguard is in Legion, you may Counter Blast 1 to give her an extra 3k power and to draw a card. This unit will most likely be used in most Aqua Force Legion decks for it’s great benefits. The only way this falls short is if you Stride as her ability won’t take effect because Striding will temporarily stop your Vanguard from being in Legion. This will give people a hard choice to make on the Stride Phase but I feel her +1 to hand will make Striding not nearly as needed in Aqua Force Legion decks. Blue Storm Battle Princess, Doris is a Stand Trigger to also help with Legion. Her ability is much like the Storm Riders and Couple Dagger by letting her switch places with the unit behind her after attacking. She has to attack on the first battle to pull off this skill and you have to have a Vanguard in Legion, but as a little extra Doris gives +5k to the unit she switched with and then she goes back into the deck. This is a good way to make sure you can pull off all the battles you need but it would be best to only use her as a last resort. With her 4k power it is unlikely that she will be able to hit your opponent’s Vanguard unless you can find a way to give her an extreme power boost. With all this Legion support hopes are high that a new Legion will be revealed soon for this set. To increase the chances of getting the Legion cards that you want to Ride, Penguin Soldier of the Blue Storm Fleet will help search for the one you are looking for. When this unit boosted a successful attack on a Vanguard, if it is the third turn or more and you have a Vanguard with “Blue Storm” in it’s name, you may search your deck for a Grade 3 with the ability to Legion and add it to your hand. With the lack of Generation Break, this card can activate even before you have reached Grade 3 so you have a better chance of getting your perfect field set up earlier on. This can easily be used throughout the whole game, giving you plenty of Stride fuel in your hand or to make sure your columns are swinging in for well powered attacks. We also get a new Grade 3 which makes a great backup for Blue Storm. 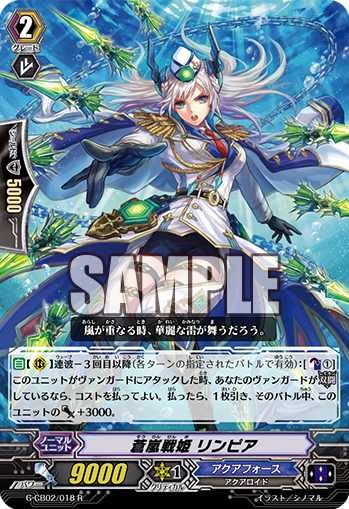 Blue Storm Marine General, Sebastian is a pretty powerful Common who can get an extra draw and retire one of your opponent’s rear-guards. The only restriction this card has is that it needs to be the third battle or more. This is a really useful Grade 3 to be used in a lot of Blue Storm decks and the pressure put on your opponent to guard would make a good opportunity for Glory Maelstrom to come in with his guard restriction. For more drawing, Battle Siren, Nicoletta will allow you to draw one card if her attack hits on the second battle or more and with a Generation Break. Violent Shooter is the Grade 1 equivalent of Marine General of the Sound Speed, Nectarios by letting you Soul Blast for a power boost and an extra attack. For Resist units we get Flashroll Command and Power Scout Orca Soldier. They are both Resist units that gain 3k power when attacking on the second battle or more with Flashroll being a 6k Grade 1 that becomes a 9k attacker, and Orca Soldier being a 8k Grade 2 who then becomes an 11k attacker. 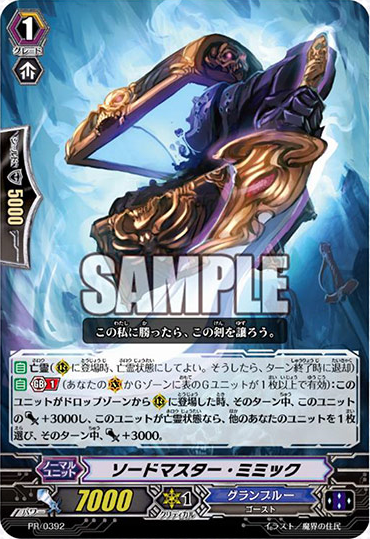 The last Aqua Force card shown was Blue Wave Marine General, Phoevos. When he attacks, if it is the third battle of the turn and you Counter Blast 1, Phoevos gains 2k power until the end of turn and at the end of that battle he can re-stand. 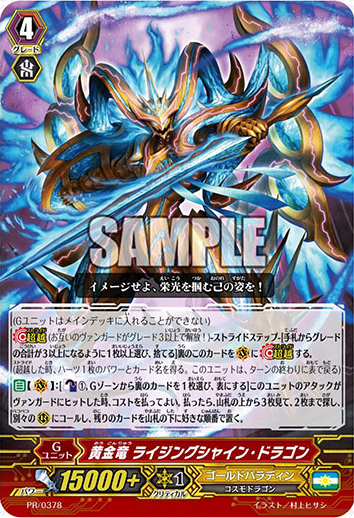 So far the only other “Blue Wave” is Blue Wave Dragon, Tetra-drive Dragon, but we know there will be a new “Tetra” in this set called Blue Wave Marshal Dragon, Tetra-Boil Dragon so perhaps Tetra-Boil will need it to be the fifth battle or more to activate his effect if Phoevos is anything to go by. As I said at the beginning, Aqua Force is not the only clan we have seen throughout the past seven days. We have been shown a sneak peek of what is to come for the new Fighter’s Collection 2015 Winter and G Booster Set 5: Moonlit Dragon Fang. I’m always excited for Fighter’s Collections as it’s great seeing every clan getting support, even the ones that I don’t use. So far we have seen four units, two being G units and the other two being normal units. One card I am looking forward to in my own deck is Witch Queen of Transfiguration, Sinclair. If you have a “Witch” heart and the number of Grade 0s your opponent has on the field is two or more, you may Counter Blast 1 to reveal the top ten cards of your opponent’s deck and your opponent chooses one Grade 0 from among them and Rides it, and then at the end of the turn your opponent chooses a card from their Soul and Rides it. If your opponent wishes to guard with a Grade higher than 0 then at the beginning of their guard step they can Counter Blast 1 to guard with as many cards in their hand as they want. 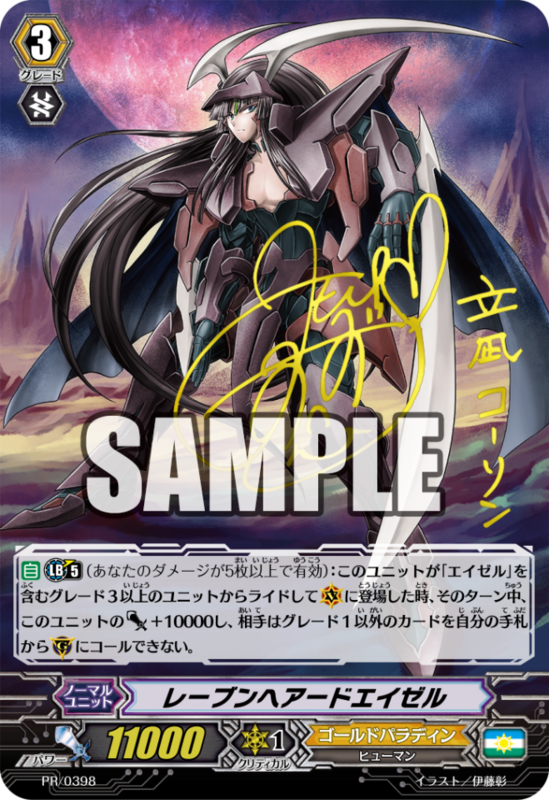 Shadow Paladin Witches have been suffering a bit lately due to Triggers gaining better and better rear-guard skills thus making their main mechanic a little less effective than before but with this card it proves that Shadow Paladin Witches still have plenty of life left in them. If your opponent keeps replacing the Grade 0s you have been putting on their field throughout the match then it’s a good idea to keep some Deidres and Danas in your hand for when you stride this card. You won’t be able to use Securna and Goewin with this card due to them needing a Vanguard in Legion but the Grade 0 Vanguard your opponent will have is a big enough minus on its own. With the need for your opponent to Counter Blast to be able to guard with anything higher than a Grade 0 it will prevent them from using a lot of their skills in their next turn and if all their damage is face-down you know they won’t be able to use a Perfect Guard. An old Link Joker who gets support is the original Break Ride for the clan, Star-vader, Infinite Zero Dragon. With Cleanup Star-vader, Bromine’s skill at the end of your turn, if you have a Grade 3 Vanguard with “Star-vader” in it’s name and your opponent has a locked card, you may retire Bromine to search your deck for a card with “Infinite” in it’s name and Ride it as Rest. This is a nice little boost to make sure that you will always have a Break Ride ready for your next turn and is a great reward for retiring one Grade 1. Dark Irregulars have gone for a bit more of a defensive approach with their new Grade 3. Blade Wing Sullivan, like Blade Wing Reiji, requires fifteen cards in the Soul. If he does then every card you guard with will get +10k Shield but at the end of the guard step that you have fifteen or more cards in your Soul you must Soul Blast 2. Giving all Guardians +10k Shield is a massive boost, this makes Grade 3s 10k defenders and most Grade 0s 20k defenders. The biggest problem is maintaining your Soul without decking out. It might be nice for Dark Irregulars to get a Dreaming Dragon clone. To help the Soul build up, when he is placed on the Vanguard circle you can choose one of your rear-guards and search your deck for three copies of that card to put into the Soul. This can give Demon Bike of the Witching Hour, Hades Carriage of the Witching Hour, or Demon Chariot of the Witching Hour a big continuous power boost. Some people might also want to put Dimension Creeper into the Soul to increase the soul even more and give cards like Doreen the Thruster and Sweet Predator a powerful temporary boost. People may want to use Blade Wing Reijy for early game pressure and then ride this card for late game defence. The last unit we saw for Fighter’s Collection was One Who is Loved by the Seven Seas, Nightmist. This is very similar to the previous Fighter’s Collection Granblue unit, Pirate King of the Abyss, Blueheart. Like Blueheart, you can Counter Blast 1 to Call two units from the Drop Zone but this time you don’t need to Call them over other units, the restiction being you need a heart with “Seven Seas” in the name which at the moment is only the Break Ride, Lord of the Seven Seas, Nightmist. At the end of the turn you have to retire the newly called units but being able to call those units over and over helps you use Granblue’s on-call abilities like Sea Strolling Banshee’s and King Serpent’s. With King Serpent you can make Nightmist’s Counter Blast free due to King Serpent Counter Charging when he comes onto the field from the Drop Zone. The anime has revealed a few cards. 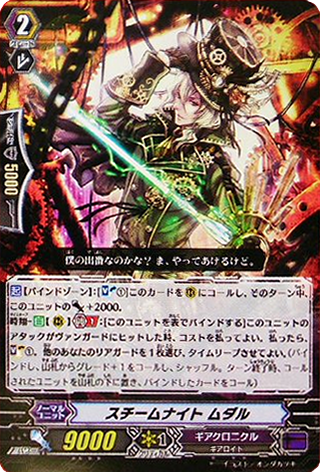 One of the most notable being Chrono Dran, a new Grade 0 for Gear Chronicle. The skill has yet to be revealed and all we really know about it is that it’s a forerunner, but seeing as he seems to be a fairly important character in the anime we can expect good things from his ability. 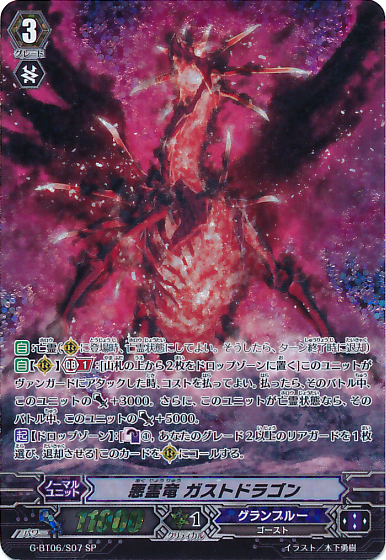 There was one other interesting card shown in the anime, and that was Genesis Dragon, Excelics Messiah. The ability was fully shown later in the week. If you have a face-up copy of Amnesty Messiah in you G Zone you may Counter Blast 1 and turn a copy of Amnesty Messiah face up, then you can unlock as many cards as you want and every card that you unlocked on your side of the field gains 3k power, while every card you unlock on your opponent’s side of the field is retired. Then, if you unlocked three or more cards, Excelics Messiah gains an extra critical. 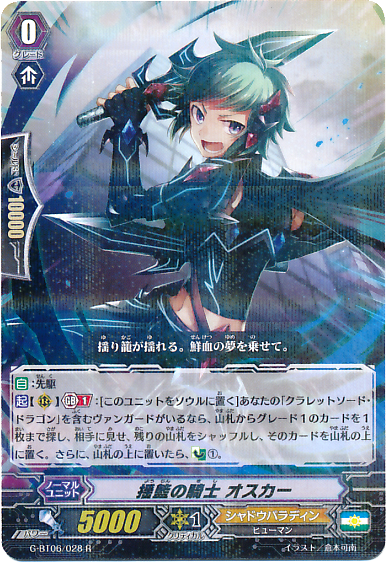 This card is following Aurageyser‘s theme of turning over the previous version of the character (This one being Excelics turning over Amnesty) but due to Amnesty not needing a G Persona Blast, you can use Excelics up to three times in a game. Welcome back to our weekly Vanguard update! This week mostly consists of cards for the upcoming Clan Booster 2: Commander of the Incessant Waves so we will be seeing a lot of new Aqua Force units. One card that we have heard about before is Marine General of Heavenly Silk, Aristoteles, and now the skill has finally been revealed! If it is the third battle or more of that turn, you can Counter Blast 1 to retire one of your opponent’s rear-guards. This is a really useful G-unit to snipe your opponent’s best rear-guards on your first Stride, and the attack doesn’t have to hit unlike Marine General of the Heavenly Scales, Tidal Bore Dragon. I’m sure people will find the true worth of this card when they are up against units like Commander Laurel and Doreen the Thruster. We also get a new Forerunner for the Clan that works with Thavas. Kelpie Rider, Mitolos gives you an extra attack by going into the soul when your grade 3 or greater Vanguard with “Thavas” in it’s name attacks on the third turn or more. You can then search your deck for a grade 3 with “Thavas” in it’s name, and call it to a rear-guard circle. At the end of that turn you may put the card you called into your hand, this will allow you to be able to stride next turn. Also if you stride with the new Thavas G-unit (Skill yet to be revealed) then you will be able to ride Thavas next turn if you didn’t have him as your Vanguard, but of course this will only be really helpful if the Thavas Stride does not require a Thavas Heart for its skill. Wave Hunt Sailor is a new card that will help you refresh the Damage Zone and Soul, many Clans have had a similar card to this but this card isn’t restricted by a Generation Break. When her attack hits, if it is the third battle or more, you may Counter Charge 1 and Soul Charge 1. 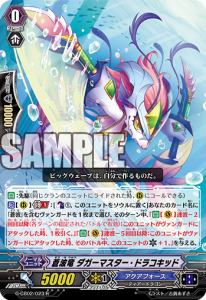 Aqua Force don’t Counter Blast overly much apart from Blue Wave Dragon, Tetra-drive Dragon, but the Soul Charge would help a lot for High Tide Sniper to dish out those +10k attacks. Another card the Soul Charge might help with is Mission Messenger Gull Soldier who has two useful abilities. 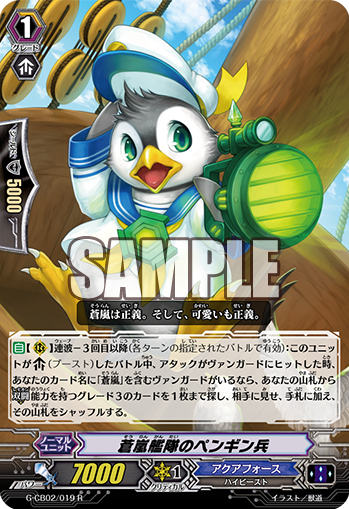 Gull Soldier helps in both attack and defence, with a Generation Break 1 if it’s the forth battle or more that he boosted you may put him back into your hand to help you prepare for your opponent’s next turn. His second ability allows you to Soul Blast 1 when he is placed on a rear-guard circle to give another unit +3k. This small boost can go a long way for Aqua Force. For example, it can give Storm Rider, Basil the advantage by letting him attack for 12k which could make him more viable than Storm Rider, Diamantes so you don’t have to use up valuable Grade 3 space. Battle Siren, Mallika and Wave Hunt Sailor are going to help Gull Soldier a lot by keeping the Soul topped up. One card that a lot of people are excited about is the new Perfect Guard for Aqua Force’s Blue Storm subclan. Blue Storm Shield, Homeros‘ first skill works a lot like the old Perfect Guards by not being able to Counter Charge but allowing you to guard any unit, but Homeros will only be able to Perfect Guard if you have a “Blue Storm” Vanguard. To make up for this limitation he has a second ability which works on the rear-guard circle. If it is the third battle or more that this unit boosted, you may Soul Blast 1 and return this unit to your hand as long as you have a “Blue Storm” Vanguard. This will allow you to dish out boosted attacks while still having a Perfect Guard in your hand at the end of the turn. Yet another unit that will be using the Soul is Marine General of the Sound Speed, Nectarios. With a Soul Blast of 1 on the first or second battle, this unit gets +2k and then you can search the top four cards of your deck for a unit with the “Wave” ability, call it on top of this card, and then put Nectarios to the bottom of the deck. Some people may use this instead of Couple Dagger Sailor for it’s slightly more flexible ability, though you could use both in the same column to have that column attack three times! 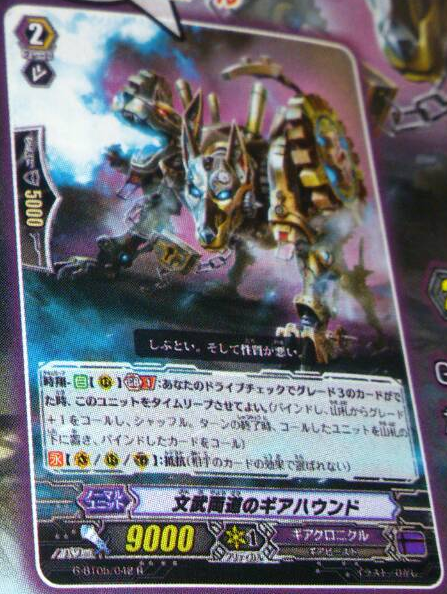 Great if your Vanguard is Blue Storm Dragon, Maelstrom or Blue Storm Karma Dragon, Maelstrom “Яeverse”. Two new Grade 3s for Aqua Force have been revealed for this set. One being Ocean Horseman, Skiros, the first RRR to be shown for this set. This card has a Generation Break 1 that gives the whole front row the “Resist” ability (Meaning that they can’t be chosen by your opponent’s effects) when he is on the vanguard circle. This ability will cause Clans like Kagero and Narukami to have trouble taking out your strong front row units. His second ability works on the vanguard and rear-guard circles, when he attacks a Vanguard he allows you to check the top five cards of your deck for a Grade 3 or greater and add it to your hand. The second ability needs to be the third turn or more but does not require any Generation Break so you can use it early on to prepare for Stride or, if your main Grade 3 is another unit, to have a better chance of finding the Grade 3 you want. I’m sure many Thavas users will be happy to have this as their backup Grade 3. The second Grade 3 is Titan of the Trench Patrol and is a Grade 3 version of Nectarios by allowing you to Soul Blast 1 to gain 2k and at the end of battle, look at the top four cards of the deck, search for one with the “Wave” ability, call it over this unit and put this unit to the bottom of your deck. This unit will at least allow you to hit Cross Ride units without a boost but nowadays not many people will be using Cross Ride units. On a less Aqua Force-y note, an image for a Pale Moon promo has been revealed. Nightmare Doll, Julieta’s skill is currently a mystery but it will be great to see more of the Nightmare Dolls that have been around since Pale Moon started. This is also the first Nightmare Doll to be shown that isn’t a Grade 3. I feel there is a good chance that this could follow Nightmare Doll, Catherine’s footsteps in supporting the old Nightmare Doll, Alice. That concludes this week’s instalment of Cardfight!! Vanguard news, check back next week for more updates! Welcome back to our weekly Vanguard update! This week introduces more cards from Vanguard and Deletor, while also revealing new support for Aqua Force, Pale Moon, Gear Chronicle and Oracle Think Tank. Flowing Jewel Knight, Altgallo (pictured) offers Jewel Knights an alternative unit to Jewel Knight, Swordmy. When its attack hits a vanguard while the number of your other rear-guards with ‘Jewel Knight’ in their names is three or more, you can Soul Blast 1 to call one Grade 1 or less Jewel Knight from your deck. This is a low cost to gain a unit, but is unreliable in the fact that it can only call your fifth unit and, further, that it needs to hit to do so. While this adds a strong on-hit pressure, and most likely will force guards, it seems unlikely to contest the niche that Swordmy occupies; the ability to Counter Blast 1 on-call to call a Grade 1 Jewel Knight from the deck is both reliable and powerful, to the extent that it is even used outside of the sub-clan. It is hard to see Altgallo see much play except as a budget replacement or if Swordmy becomes banned or restricted – Altgallo is by no means a bad card, but Swordmy does the same job better. Meanwhile, Packgal is a new Grade 1 unit with 5000 power, with the ability to Soul Blast 2 to Counter Charge 2. This effect has been seen in many other clans, and is always a nice option to have, especially for Sanctuary Guard decks and those which have heavy Counter Blast costs. As a High Beast, Packgal can be called by the effect of Swordsman of Light, Blaster Javelin Larousse (released in the same set), who also happens to place two cards into the Soul for the cost for his effect. Packgal certainly won’t find a place in every deck, but will be a card worth considering if Counter Charging is needed. Finally, they receive three new ‘vanilla’ triggers in Player of the Flash, Niviana (heal), Hot Sand Knight, Rudford (stand) and Pirrolo (critical). Aqua Force’s ‘Ripple’ sub-clan receives more support this week, gaining three new units. 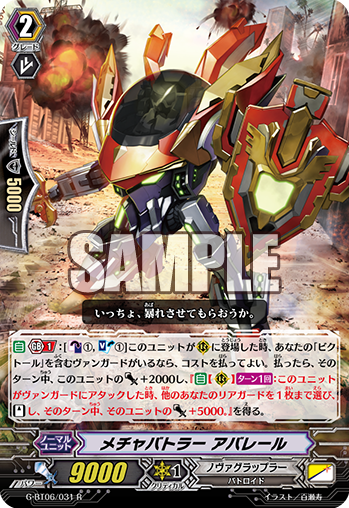 Torrential Ripple, Podromos (pictured) can G-Persona Blast when he hits a vanguard (while having a Heart card with ‘Ripple’ in the name) to look at five cards from the top of the deck, search for up to two cards with ‘Ripple’ in their name from amongst them and call them to separate rear-guard circles. The ability to gain two more cards with no real cost is very good, even if the attack does need to hit for the ability to work. With the new Legion pair of Breaking Ripple , Militiades and Thundering Ripple, Genovious, having ‘Ripple’ heart cards is easy to achieve too, and Podromos offers a good Stride unit while waiting to fulfil Genovious’ Persona Blast. This is helped by the new critical trigger, Demise Ripple, Orest. At the end of the battle that it boosted, if the number of other rested units with ‘Ripple’ in the name is two or more, you can look at five cards from the top of the deck, search for one ‘Ripple’ from among them, reveal it to your opponent and add it to your hand. This is intended to help set up the Persona Blast of Genovious, but adds a great amount of consistency to the deck besides. If Ripples receive their own Perfect Guard, this card will be one of the greatest consistency tools in their arsenal. 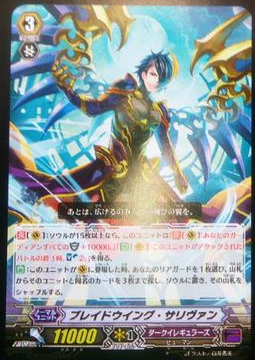 The final ‘Ripple’ revealed is Turbulent Ripple, Lavisse, a 9000 power Grade 2 who can gain 3000 power when he attacks if the number of rested units with ‘Ripple’ in their names are two or more. This effect is good, if not exciting, but as there are only two Grade 2 ‘Ripple’ units at the moment, he will surely see much play in the deck. 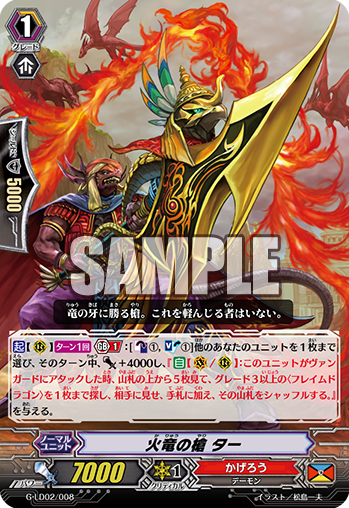 Tear Knight, Timos (pictured) adds a new control aspect to the clan: at Generation Break 1 and Wave 2, when his attack hits a vanguard, you may choose up to one of your opponent’s rear-guards and retire it. This is a newer version of Tear Knight, Valeria, who has a similar ability, albeit at what we would now call ‘Wave 4’. The benefit of Timos is that his effect is a lot easier to activate than Valeria’s, however it is limited to much later in the game – Valeria can activate on the vanguard circle and, with a good start, retire an opponent’s rear-guard on the player’s second turn. These effects are good, but they struggle to find a home in Aqua Force. 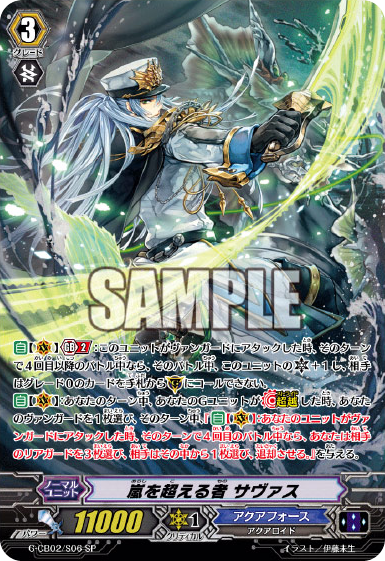 Aqua Force rely on their Grade 2 units to activate their higher Wave abilities, using cards like Magnum Assault, Tidal Assault or Couple Dagger Sailor to chain multiple attacks, or units such as High Tide Sniper to guarantee that they can threaten the vanguard even when un-boosted. As such, the Grade 2 space is often quite tight in the deck, so, even if this skill is nice, there simply won’t be room for it in the majority of decks. Cobalt Neon Dragon, an 11000 power Grade 3, is the last card revealed for Aqua Force this week. His skill activates as either the vanguard or the rear-guard at Wave 2, granting him 2000 power when your other unit attacks. This can be nice when brought out from the back row (potentially by the effect of Couple Dagger Sailor), but ultimately there are better options for back-up Grade 3s. 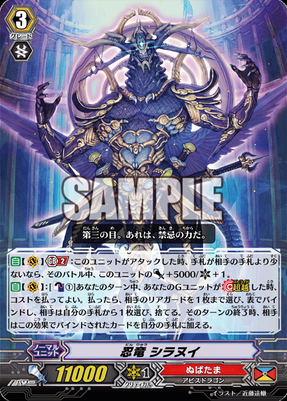 Star-vader, Chaos Breaker Dragon (pictured) receives some new support in G-BT05. Confusion Star-vader, Zinc is a 7000 power Grade 1 with a very useful ability. If you have a vanguard with ‘Chaos’ in its name and your opponent has a locked card, you can put her into your soul to Counter Charge 2 and Soul Charge 2. This helps to fund all of his skills, while also providing for rear-guards which can lock. He receives further support in what is presumed to be a Stride unit Death Star-vader, Chaos Universe, whose effects are yet to be revealed. Gear Chronicle have had two new units revealed – Steam Maiden, Dah-nish and Metalglider Dragon. 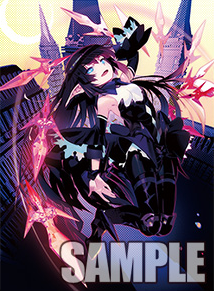 Dah-nish is a 7000 power Grade 1 that will come in the next Gear Chronicle Trial Deck with a Generation Break 1 skill. When she is placed on a rear-guard circle, you choose one of your opponent’s rear-guards, return it to the deck, then your opponent may choose to call a unit from the deck which is a single Grade less than that unit, and shuffle the deck. As this is free, it is an easy piece of disruption that can serve as a retire (on Grade 0s or Grade 1s, provided your opponent does not which to call a unit) or strip the deck of triggers (with Grade 1s). It can also power up units like Brass-Winged Gear Hawk, and so can be quite useful. Metalglider Dragon is an 11000 power Grade 3 also with a Generation Break 1 ability. When it is placed on either a vanguard or rear-guard circle, you can Counter Blast 1 to place an opponent’s Grade 1 or less unit on the bottom of the deck. This is a simple retire effect, and works well with units such as Interdimensional Dragon, Faterider Dragon. 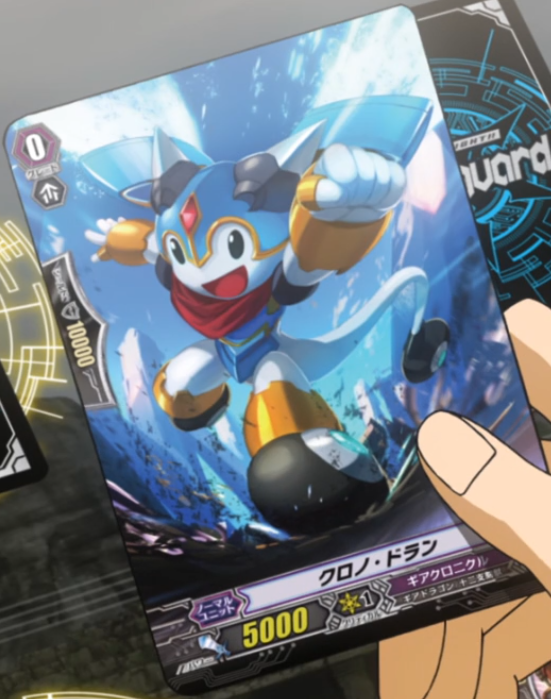 However, as Gear Chronicle like to use Grade 3s which are either Chronojet Dragon or can search for Chronojet Dragon, he might struggle to find a home in most decks. In other news, Pale Moon have had two new units revealed. 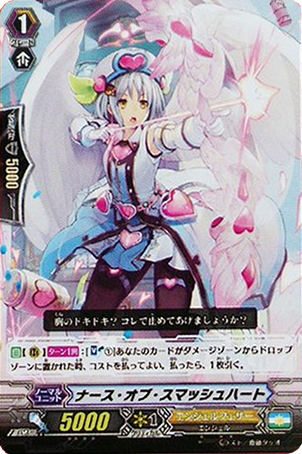 The first, Moonlight Melody Tamer, Betty, is a 7000 power Grade 1 released in the upcoming Trial Deck. At Generation Break 1, you can Counter Blast 1 at the end of the battle she boosted a rear-guard to put the boosted unit into the Soul and call one card with the Magia ability out of the Soul. This is going to be a very reliable way for Pale Moon to gain more attacks, and also signals that Magia is most likely the keyword for being called from the Soul. Nightmare Doll, Catherine is a Grade 3 with 11000 power which is designed to make Nightmare Doll, Alice (pictured) more relevant in the current game. The ability to gain multiple attacks and to trigger Pale Moon effects is very useful, yet she is limited by her 10000 power, which is what Catherine fixes! Her CONT skill is to give all rear-guard Alices 1000 power and an ability which activates at the end of a battle that they attacked, but did not hit. For Counter Blast 1, they are then able to call a ‘Nightmare Doll, Alice’ from the Soul, then move themselves into the Soul. Owing to the current wording, this cannot be the same Alice as just attacked, meaning that players will need to run multiple copies to get the most out of Catherine’s effect. Catherine’s second effect activates when she is placed on the vanguard circle, allowing her to search her deck for a card, put it into the Soul, then shuffle the deck – this allows her to easily get copies of Alice where they are most useful. Cards like Purple Trapezist and Miracle of Luna Square, Clifford can help to recycle Alices who have moved into the Soul, allowing access to further attacks. Oracle Think Tank gain new Tsukuyomi support in Handedly Housekeeper, a 7000 power Grade 1. 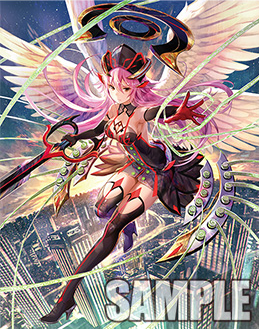 Her ability allows her to pay Counter Blast 1 when placed on a rear-guard circle to search the top five cards of the deck for a ‘Tsukuyomi’ card from amongst them and add it to your hand, then to put the rest on the bottom of the deck in any order. This helps to ensure that the Ride-chain goes smoothly, while also contributing to the stack at the bottom of the deck. Narukami receive a new 10000 power Grade 3 in Djinn of Twofold Striking. His ability activates on either the vanguard or rearguard circles, at Generation Break 1 and Thunder Strike 2. For a Soul Blast, he gains 2000 power and, when he attacks, you may choose an opponent’s vanguard and a rear-guard and battle both of them at once. This does not specify that you have to choose a front-row rear-guard, so it can attack the back row as well! Assuming that he receives a 7000 power boost, he forces 10000 shield against the vanguard and (if they have a 9000 power Grade 2, for example) 15000 for the rear-guard. However, as Narukami struggle with Soul Charging, it is likely that his skill will only be able to be used a couple of times per game, though it will be very powerful when it is used. Finally, a few more potential Stride units have been revealed. We have already touched on Death Star-vader, Chaos Universe, but there also appears to be one for Narukami in Conquering Supreme Dragon, Dragonic Vanquisher ”VOLTAGE”, one for Pale Moon in Masked Divine Dragon Tamer, Harry and a new Susanoo called Dragon-defeating Battle Deity, Kamu Susanoo. All these units, along with Nightmare Doll, Catherine have been shown to be receiving sleeves in the next set. Welcome back to our weekly Vanguard update! This week sees five new cards for Royal Paladins released, including a new Stride unit, while two new Deletors have been revealed. 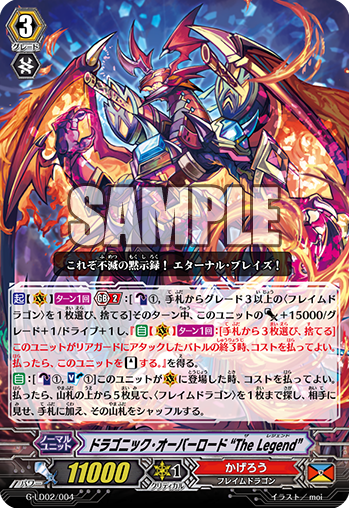 Further, a new card has been released which hints that the upcoming Blue Storm Dragon, Maelstrom might be a Breakride, while the first card in Fighter’s Collection 2015 Winter has been revealed! 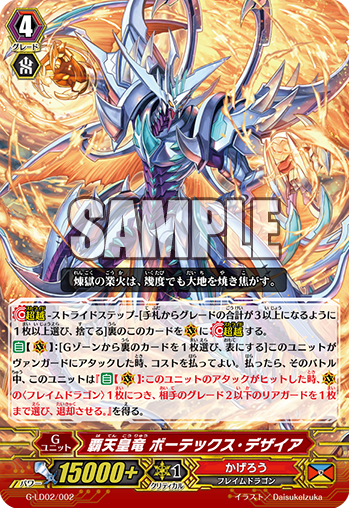 Reincarnation Dragon, Holy Squire Dragon (pictured) is the new Stride for Alfred’s Royal Paladins. Holy Squire Dragon requires an Alfred heart card, but is very useful in the context of the Vanguard and Deletor set. By G-Persona Blasting a copy of himself, you unlock all of your locked cards, then gain two continuous skills: the first grants all your rear-guards 2000 power, while the second skill is available at Generation Break 3, granting Holy Squire 3000 power for every rear-guard you control. This means that, if he is used as your second Stride of the game, you will be able to use all of his effects. The unlocking skill is only useful in Link Joker matches, and the need for an Alfred heart means that this cannot be used as a tech choice for other decks. The second skill is primarily useful for unboosted Grade 2s, making 9000 power units 11000 without overly much effort. This skill grants 4000 power to columns, but it does not really help most columns reach 21000 without the use of 10000 power or 8000 power units, or units which can gain at least 1000 power with their skills (such as Knight of Fragment). 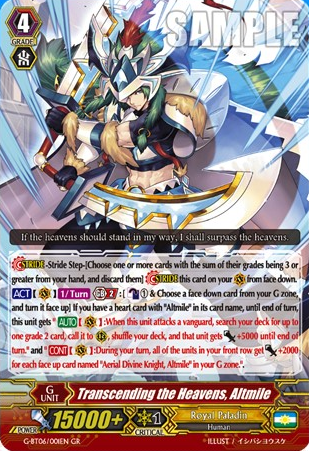 The third skill allows it to gain power in a similar way to Holy Dragon, Saint Blow Dragon, although it does not gain an extra critical – this is balanced out by the increased pressure it grants to rear-guard columns, although most players will prefer Saint Blow as it can be used in many more decks than this. Two more Alfred-specific cards have been revealed: Signpost Sage, Eluron and Spinning Sage, Berck. Eluron is a new forerunner whose skill can be used when you have an ‘Alfred’ Vanguard. By Counter Blasting 1 and moving him into the Soul, you can search your deck for any Grade 2 or less unit and call it. This is a very useful and flexible effect, allowing you to call units such as Knight of Twin Sword to gain more rear-guards, or Blaster Blade, Blaster Blade Spirit, or Blaster Blade Seeker (If using Alfred Exiv) to remove your opponent’s vital units. Spinning Sage, Berck, on the other hand, is more restricted in its use. For a Soul Blast and a Counter Blast, if you have an ‘Alfred’ vanguard, you may unlock up to two of your units, then give up to two of your units 2000 power. Berck had the potential to be excellent, but sadly is too restricted to see much play. Outside of the Link Joker match-up, there are no targets to be unlocked – the Alfred restriction limits it from being used in Broken Heart Jewel Knight, Ashlei ‘Яeverse’ decks, where it would be more useful. As such, the only reliable use for the skill is to grant 2000 power to up to two units, but this is not worth the cost. As such, Berck will probably only be used in the context of Vanguard and Deletor matches. 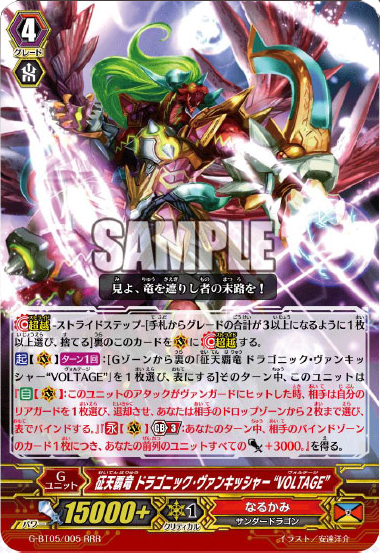 Salvation Sage, Benon (pictured) is also released in Vanguard and Deletor, but he is not restricted to Alfred decks. His skill costs Counter Blast 1 and allows you to call a 6000 power unit from your deck, so players might like to call Hidden Sage, Miron or Sword of Hope, Richard to draw a card. The drawback, of course, is the low power units which you are forced to use, substantially lowering your offensive presence unless skills are used to increase their strength. 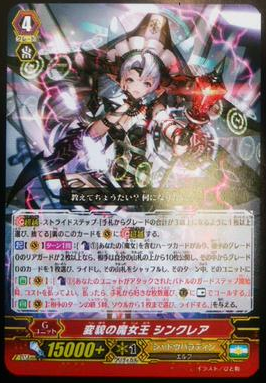 In other news, Jewel Knights receive a new forerunner in Jewel Knight, Raisegal. 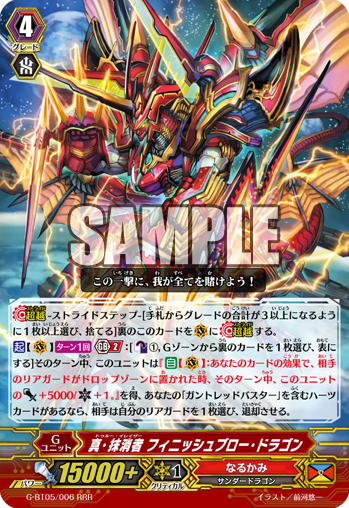 This 5000 power unit can give a unit called from the deck (once per turn) 3000 power, provided that you have three or more other rear-guards with ‘Jewel Knight’ in their names. This is less restricted than it seems, requiring only two other Jewel Knights at the time of call. Raisegal works very well in conjunction with Banding Jewel Knight, Miranda when used in an Ashlei deck, allowing Miranda to hit 21000 (with a 7000 power boost) when called from the deck. You can also use it with Fellowship Jewel Knight, Tracie if you are not using an Ashlei build. 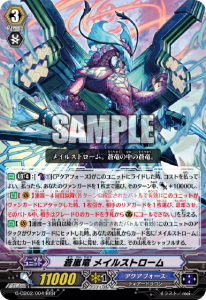 Original Deletor, Eigorg (pictured) is the new Deletor Stride, and offers Link Joker their second unique alternate win condition. 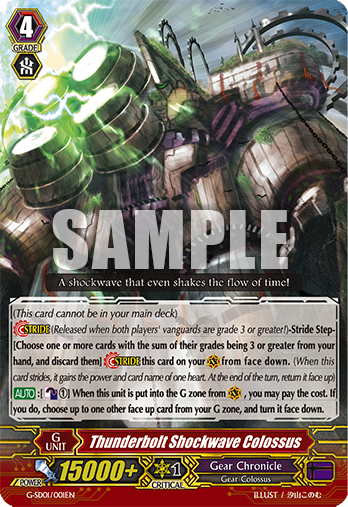 At Generation Break 2, if you have a ‘Deletor’ Heart, you can Counter Blast 1 and retire a Deletor to Delete all of your opponent’s vanguards, lock up to one card in their back row, then force your opponent to Banish Delete a card. Then, if the number of cards in your opponent’s Damage Zone is four or more and the number of cards face-down in their Bind Zone is 13 or more, you win the game. This is a very strong card: its first effect is great value, as retiring a unit and Counter Blast 1 for a Delete and a Lock is cheap. The win-condition effect serves as a nice bonus – it seems feasible to pull off in a game, but equally does require work to actually use, as most cards can only Banish Delete a single card each use. As such, Eigorg is useful throughout the whole game – he can delete efficiently throughout the game, and keeping a copy in reserve for late game in case you can fulfil the alternate win condition is a good idea. Biting Deletor, Girba is a new critical trigger which, after boosting and if your opponent’s vanguard is Deleted, can return to the top of the deck to Counter Charge 1 and force your opponent to Banish Delete a card. This can help to push for winning through Eigorg’s effect, or simply to provide more resources so that you can Delete more often. Losing 10000 shield is somewhat bad, but considering that Deleting reduces the opponent’s offensive capabilities, it is not overly costly. 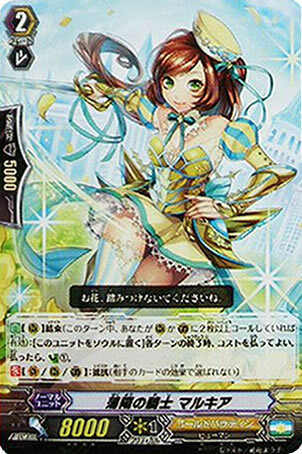 Blue Storm Battle Princess, Choralia (pictured) is a new promo card for Aqua Force. 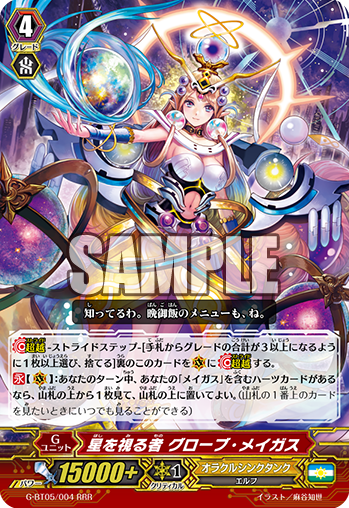 When she is placed on a rear-guard circle, you can discard a Grade 3 card to search your deck for up to one card named ‘Blue Storm Dragon, Maelstrom‘ and add it to your hand. As this effect is similar to Eternal Bringer Griffin (who searches for Dragonic Overlord, later given a Break Ride), people have inferred by analogy that Blue Storm Dragon, Maelstom will be reprinted with a new Break Ride effect, especially given their upcoming Clan Booster. If so, Choralia will make it significantly easier for Maelstrom decks to set up the Cross Ride, while also potentially enabling the Break Ride to be combined with it (provided that the speculation is true). 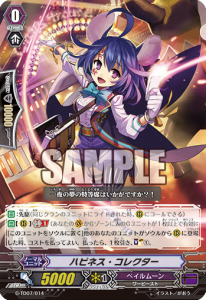 Another promo card has been revealed for Pale Moon in Daydream Tone, Arny, a 9000 power Grade 2 with the Generation Break 1 skill to Counter Charge 2 on hitting a vanguard. Pale Moon have long been one of the heaviest users of Counter Blasts, so this will be a very welcome addition to the clan! In other news, Fighter’s Collection 2015 Winter has had some information revealed about it. 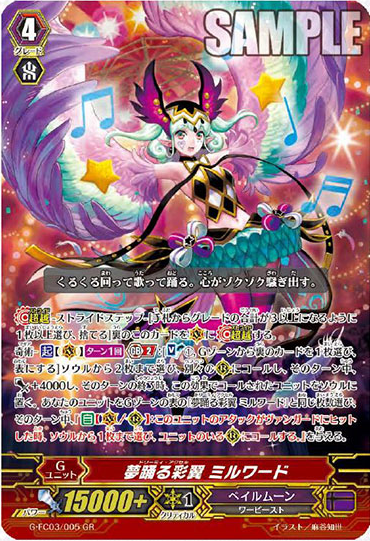 The first card confirmed is a reprint of Twinkle Happiness☆Pacifica, a Japanese Promo. This version will come with different art, and also has led some people to suspect that the set will once more be Stride-focussed. There are going to be 48 cards in the set, possibly showing that each clan will receive two new cards: a banner seems to depict a Seal Dragon, an Angel Feather similar to Nociel, a new form of Interdimensional Dragon, Chronoscommand Dragon, Lord of the Seven Seas, Nightmist and Beast Deity, Ethics Buster. This focus on existing Grade 3 units does hint that they might become G-units, especially considering that Beast Deity, Ethics Buster already has three Grade 3 forms. Though the fact that Nightmist’s only grade 3 form is a break ride there is a chance that this new form could be a cross ride for him. Finally, it seems that in the new series of Cardfight!! Vanguard G: GIRS Crisis, members from the original cast will return, so we should expect to see Leon Soryu, Naoki, Miwa, Ren and Kai. The new series will focus on a quest called “G Quest” where Chrono will strive to become a Clan Leader. The season also introduces the idol group Rummy Labyrinth. This is a duo of Luna Yumizuki (a Pale Moon user who will be featured on the Trial Deck) and Am Chouno (a Granblue user whose Trial Deck will also soon be released). This implies that we might see a lot more of those two clans in booster packs when the next series airs. Welcome back to our weekly Vanguard update! This week reveals many cards from Vanguard and Deletor (including several reprints) along with the name of a new Aqua Force Stride from Commander of the Incessant Waves, Marine General of Heavenly Silk, Aristoteles! 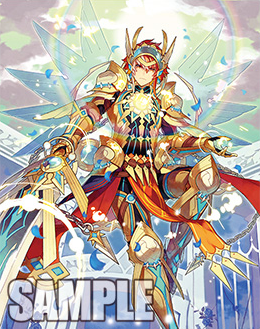 As Vanguard and Deletor’s Royal Paladins all revolve around the classic unit, King of Knights, Alfred, it should come as no surprise that his reprint has now been confirmed! He will be printed as a single rare in the set, allowing easy access to the deck’s most important unit. The theme of the Comic Royal Paladins is that their abilities only work when you have an ‘Alfred’ vanguard, so both experienced and new players alike will surely welcome this reprint! 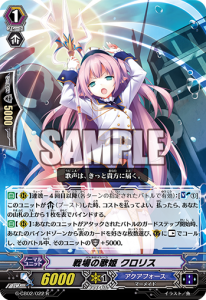 The Revival Legion unit, King of Knights’ Vanguard, Ezzell, is also reprinted as a single rare in this set, enabling easy access to a full Legion line-up. Further, as they had previously only been printed as a revival legion, this set will introduce their matching legion art for the first time! Meanwhile, Flash Shield, Iseult is also receiving a Rare reprint in this set, enabling easy access to the old-style Perfect Guards. The final reprint this week for Royal Paladins is the draw trigger, Margal. One of the goals of Vanguard and Deletor is to be able to be used to create a full deck, and the easy accessibility of the main Grade 3 and the Perfect Guard will surely make this an attractive budget choice. There are three new Royal Paladin units which have been revealed, and the first is Wave Sage, Thana (pictured). 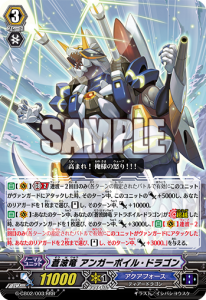 His ability is that, when he is placed as a rear-guard, if you have a Grade 3 vanguard with ‘Alfred’ in its name and all your vanguards are at stand, you can search your deck for up to one card with ‘Alfred’ in its card name, ride it, and grant it 5000 power for the turn. This ability seems rather odd at first – the deck seems best when it uses Alfred in Legion, yet Thana undoes that. However, Thana shines when he is used against the Deletor units that also come in this booster, being able to undo Delete for free. As a reminder, Delete turns your vanguard face down, removing its power and effects, but does not change its name or Grade – Thana therefore seems to mainly be useful in the context of this pack, but as a new Alfred unit is still a possibility, it is hard to be certain. 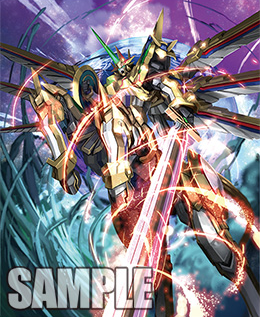 Blaster Dark’s original form is released in this pack as Swordsman of Light, Yunos. He is a 7000 power Grade 1 who gains 5000 power when another unit is called through the effect of one of your cards, provided that your vanguard is an ‘Alfred’ unit. This enables him to serve as a 12000 attacker on the front row or to boost any 9000 unit to hit 21000 power. If he is combined with Swordsman of Light, Blaster Axe Guerard, they can hit 26000 combined, which is a very powerful column. It seems to me that Yunos will see a fair amount of play for his flexibility of use, making him a valuable addition to the deck. The final unit is Knight of Gale, Hudibras, a 6000 power Grade 1 with a pseudo-Intercept ability. At the beginning of the guard step of the battle that your vanguard with ‘Alfred’ in its name was attacked, you may discard a card from your hand to move him to the guardian circle at Rest, then give him an extra 10000 shield value. This can be a very useful skill, as you do not lose any shield value by calling him to boost – he even is able to avoid some ‘guard denying’ abilities, as he does not get called to the guardian circle, but rather moved there by an ability! He might not see the most play of the Grade 1s in this set, but players will certainly welcome having him as an option. Waving Deletor, Greidoll (pictured) is designed to be the back-up Grade 3 to Docking Deletor, Greion, with a powerful skill. While Greion’s ability is strong, its hefty Counter Blast cost somewhat limits its late game – Greidoll can be used to mitigate this. 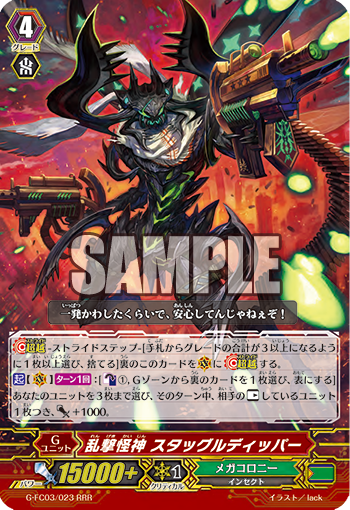 Once per turn, you can Soul Blast a card named ‘Docking Deletor, Greion’ and retire a ‘Deletor’ rear-guard to Delete your opponent’s vanguards and force your opponent to Banish Delete a card from their Drop Zone. This is a very low cost for Deleting, and can be a viable alternative to Striding later on in the game. 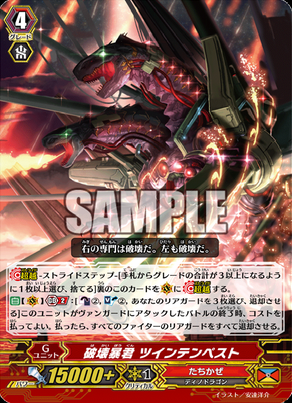 The second effect of Greidoll is that, when its attack hits a vanguard, you may Counter Blast 1 to search the top five cards of the deck for a ‘Docking Deletor, Greion’, put it into the soul, retire an opponent’s rear-guard in the front row, and force the opponent to Banish Delete a unit in their Drop Zone. This is a very strong ability, and provides a huge amount of pressure if their vanguard is Deleted. Counter Blast 1 is already good value to remove an opponent’s rear-guard, and the potential (however infrequent) to set up a future Delete of an opponent’s Vanguard is strong. Greidoll seems to be a great support unit for Greion, being both stronger and weaker in some regards, and so will certainly be sought after. Liedown Deletor, Givun (pictured) is another hotly-anticipated card, although very situational in its use. At the end of the battle where it attacked a Vanguard, if you have a Grade 3 Vanguard with ‘Grei’ in its card name, you can stand all your Vanguards at the hefty cost of Counter Blasting 1 Deletor and retiring itself, along with four other Deletor rear-guards. This is not an ability which can be used often, as Deletors are already somewhat retire heavy, but can serve as a powerful finishing move. The strength of Givun is that all of the columns can attack before being retired, so, if the opponent’s Vanguard is Deleted, even relatively weak columns can force the opponent to spend large amounts of their resources guarding. Most players who run this card will only use two copies – it has a strong effect, but it is too situational to be useful for the majority of the game. Instill Deletor, Ender is the G Perfect Guard for the set, and it’s very impressive. Its bonus skill is not to Counter Charge, but rather to Delete an opponent’s vanguard at the end of the turn if their vanguard was deleted when it was used. This is a boost that Deletors definitely needed, granting them the ability to keep their opponent shut down merely by defending. Ender’s skill cannot be used against Stride units, but is still extremely useful – it punishes players who cannot Stride on the turn they were deleted, and is also a Deletor Perfect Guard, allowing it to be used for Counter Blasts when taken as damage. 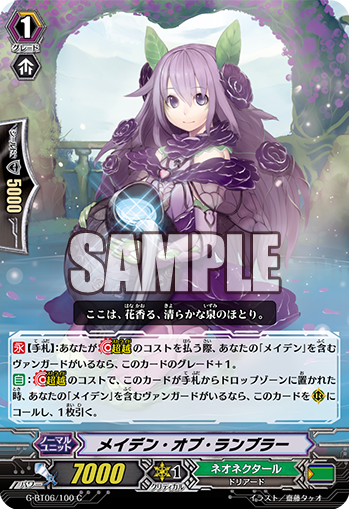 Sprout Deletor, Luchi offers the deck a new Forerunner, with an ability which activates when it is retired as a cost for a Deletor vanguard’s ability. It may lock an opponent’s back-row rear-guard and force them to Banish Delete a card from their Drop Zone. This works really well with the ‘Grei’ cards, although many players will still value the ability to draw and Counter-Charge that Acquire Deletor, Igor offers. In addition, Ferment Deletor, Gaian offers ‘Grei’ more support. It is a Grade 1 with 7000 power that can, when an opponent’s vanguard becomes Deleted, Soul Blast 1 to gain 3000 power and Banish Delete a card of your opponent’s choice. This lets it easily boost for 10000, and works very well with the new Swift Deletor, Giari. Giari is a Grade 2 with 9000 power which, when it is placed on the vanguard circle or a rear-guard circle, can retire a Deletor rear-guard to retire an opponent’s front row rear-guard, Banish Delete an opponent’s card from their Drop Zone and gain 2000 power until the end of the turn. This is an exchange with slightly favours you, and so will be used in quite a few decks. Finally, Illfate Deletor, Dorohn has been revealed. 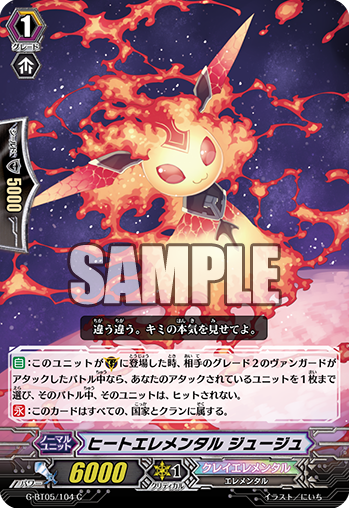 It is a 7000 power Grade 1 with a useful cycling ability – at the end of the battle it boosted a Deletor vanguard, you can discard a card and move it into the soul in order to draw two cards and force the opponent to Banish Delete a card from their Drop Zone. This can be very helpful to add consistency to the deck, and so will see a fair amount of play. Deletor receive a fair few reprints in this set. Juxtapose Deletor, Zaele (pictured) is being re-released along with its mate, Juxtapose Deletor, Gaele. Of these, it seems Gaele will be the most sought after, considering that it can lock an opponent’s front row unit for free if their vanguard is Deleted. Clipping Deletor, Evo was previously exclusively a promo card, and is re-released in this set. At Counter Blast 2, it can call any Deletor from the deck, provided the opponent’s vanguard is Deleted. This is somewhat expensive and competes for the valuable resource of Counter Blast; however, given that Deletors retire their own units for their costs, Evo can be very useful to continue fuelling these skills. Greedy Deletor, Jail will be welcomed for its ability to Counter Charge on hit, helping to mitigate the heavy costs in the deck. Meanwhile, Looting Deletor, Gunec offers a sensible retire-target as, when it is placed on a rear-guard circle, you can Soul Blast 2 to draw a card. Idolizing Deletor, Guim offers a strong dedicated booster, being able to lock front-row units when the attack it boosted hits, while Penetrate Deletor, Iggy offers the same sort of skill as a dedicated Grade 3 rear-guard. Overall, the Deletor reprints are somewhat of a mixed bag – some will certainly be found very useful, while others seem to have been reprinted simply because they were promo cards.